This is a short expose about the Mormon Temple. The authors have written other works that I have found helpful regarding Mormonism. 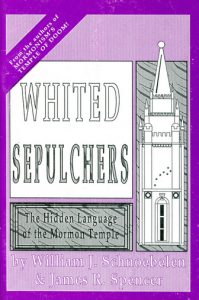 This one centers on the symbols that were built into the Salt Lake City Temple. It is interesting why Brigham Young (especially) would want symbols of the all-seeing eye, planetary stones, the bee symbol of fertility, the Saturn stone, a pentagram keystone, and many others. After detailed descriptions, the authors conclude, “Such a fastidious reduction seems contrived to the uninitiated. It’s sort of like trying to add up the numerical values of Hitler or Henry Kissinger to get 666. But we must understand the mind of the occultist. The occult mind is continually haunted by numerology. Joseph Smith and Brigham Young were consummate occultists. In fact, Brigham Young University history professor D. Michael Quinn, has written a 300-page book documenting the occult atmosphere of early Mormonism—Early Mormonism and the Magic World View (Signature Books).